Even though Scott Diekmann has retired his Stand Firm blog for awhile now, I've been spending a lot of time just working my way through his Archive which is overflowing with the type of edifying Confessional Lutheran material that a "Newtheran" like me is craving. Yesterday, I came across a letter he published way back in 2008. Rev. Brian L. Kachelmeier is the Pastor of Redeemer Evangelical Lutheran Church in Los Alamos, NM and is the host of the Redeemer Theological Academy too. He presented this paper at the "Small Church Conference" in Monte Vista, CO in May of 2008. Apparently, Pastor Bryan Wolfmueller pointed it out to Mr. Diekmann at the time, and the latter ended up sharing it with all of his readers. My dear friends, this is such a timely piece for your prayerful consideration even today some 7 years later. It's extremely well-written too! Over the short span of my life, I have noticed that people tend to pick up the lingo of those with whom they associate. People tend to take in the language of the land in which they live. This tendency is no different when it comes to the church. You can tell when someone comes from a Roman Catholic background, because they refer to the Divine Service as the Mass. You can tell when someone comes from an American Evangelical background, because when they pray they repeat the following phrase over and over, “Father God, I just want to…” Likewise, you can tell when someone comes from a Missouri Synod Lutheran background, because they pray the so-called common table prayer rather than the before and after meal prayers suggested by the Blessed Reformer in the Small Catechism. In our American context, it is easy to get caught up in slogans, programs, methods, movements, and theologies of other non-confessional groups. Like a sponge floating in a dirty sink, we are absorbing the identity of the American Evangelicals. Lately, the strange language of “unreached,” “uncommitted,” and the “unchurched” has come into common usage. We are now even confessing sins of no-mission. It used to be that when we confessed sins of commission and omission, we were covering all the bases. Now all the efforts of the church are focused upon reaching the unreached and churching the unchurched. The focus is placed upon the activities of the church. We are trying so hard to reach the unchurched that we end up turning the church into the unchurch for the sake of the unchurched. The result is that the sheep are starving because they are not being fed the Word, while the goats are getting fatter on the offered programs. All of this is done by proof texting with the so-called Great Commission. Please note that just about anything can be justified by quoting those last verses in Matthew. In fact, the Christ Care Small Group model (which is used by some of our LCMS congregations) quotes Matthew twenty-eight as the rational behind why they exist. Ironically, they are adamant about stating that such small groups are discussion groups that are facilitated by a person who is not a teacher. Their group meetings consist of discussing what the Scripture means to each individual member. There is no teaching only discussion. Likewise, they do not baptize in these meetings. So the question must be asked, if they are not baptizing and they are not teaching, then how are they making disciples? We hear the same logic when people say that the heart of the so-called Great Commission is sharing the Good News with others. I thought that the heart of our Lord’s words was to make disciples by baptizing and teaching. Is sharing really the same things as making disciples? Others say that they are “mission minded” and that the purpose of the church is to reach the unchurched. What does it mean to reach? Is reaching the same as baptizing or teaching? Apparently, the term “reaching” means persuading the unchurched to become churched. The best way to persuade someone to become churched is to make the church the unchurch. All of a sudden, everything has been turned upside down, rather than converting the unconverted, we are playing the game of converting the church into something that it is not. In this way, we see that we have lost the language of conversion. We have lost the language of faith. Our concern is not unbelief, but rather church attendance. 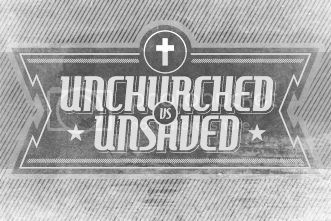 When our goal is to church the unchurched, we neglect to realize that there are unbelievers in the midst of the church. A hundred new faces, does not necessarily equate to a hundred believers. We are no longer talking about people being converted to the Christian Faith, but rather people being invited to have a relationship with Jesus. We seem to have forgotten that all people have a relationship with God. He is the Creator of all things and we are His creation (1st Article of the Creed). We cannot make God our Creator or our Savior for that matter. God is our Creator and He is our Savior. The problem is not that we don’t have a relationship, but rather that by nature we are enemies with God and thus have a bad relationship with Him. In addition, we are using phrases such as “soul winning” and “soul keeping” as they are used in the mission vocabulary of the American Churches. Yet, the church neither “wins” nor “keeps” souls. We confess that Christ has won us (2nd Article) and that the Holy Spirit keeps us (3rd Article). Such faulty phrases have excess theological baggage forcing a “once saved always saved” perspective on the gospel. Those outside of the church are the lost that need to be saved by the gospel while those inside the church are the saved that need to be kept with the law. The focus is wrongly placed upon being involved in a church rather than upon believing in the heart. Thus, the church is distorted into an organization that attempts to persuade sinners to become saints. Holiness is wrongly derived from man-made activities rather than the holiness of Christ given and apprehended by faith. The divinely instituted means of grace have been replaced with man-made methods of holiness. Emphasis is placed upon human achievement rather than on God’s work which is most evident in the synergistic views of the individual’s cooperation in his conversion. Thus the difference between those inside the church and those outside of the church rests in the individual’s choice to follow Jesus. This decision gives a false security to the individual, brings an artificial comfort, and takes honor and glory from Christ’s work. The American Evangelicals have perverted the gospel (euaggelion). When our Lutheran Fathers took the name Evangelical, they identified themselves as those who kept the euaggelion pure. Lutherans are Evangelical because we preach the gospel in its purity and administer the sacraments rightly. Only in this way can terrified hearts be truly comforted and all honor given to Jesus. In Galatians chapter one, St. Paul warns us not to turn to a different gospel (eiV eteron euaggelion) and that there are those who desire to distort the gospel of Christ (qelonteV metastreyai to euaggelion tou Cristou). Just as St. Paul would not yield to those spoke contrary to the gospel so that the truth of the gospel would remain among us (ina h alhqeia tou euaggeliou diameinh proV umaV), we too must be diligent to preserve the truth of the gospel among our churches. Those who preach a distorted gospel, preach another gospel (eteron euaggelion) and in essence are unevangelical. In our context, the American Church does not keep the gospel pure. They distort it, taint it, and reshape it. They nullify the divinely instituted means of grace and replace them with the man-made “sinners prayer.” They have changed the sacraments from gospel into law. For them, the gospel no longer has the power of salvation, but rather the power of persuasion. Yet, they still take the name Evangelical. They claim to be evangelical because they emphasize the spread of the gospel through evangelism to those outside of the church. They love to tell the story. Just like the old hymn, they constantly sing about their love of telling the story without ever telling the story. Their objective is to bring more and more people into the church. There mission is to reach the unreached and church the unchurched. They are missional due to the fact that they filter all of their activities and efforts through their perceived mission to grow in numbers. From their perspective, to be missional is to be concerned with bringing the unchurched into the church. Thus, the terms evangelical and missional are used interchangeably. In the American context, an evangelical church is a missional church which strives to grow in numbers. Just like the business world, they hire consultants to direct them in their efforts to appeal to the masses. With their statistical data, they talk in the abstract about those who are outside the church and those who have left the church. They refer to them as the “unchurched.” Then they blame the church for the reason why these people are not involved in the church or why these people left the church. They theorize that if the church could only become unchurch, then the unchurched would become churched. The language of reaching the unchurched is a strange language to the church. Now, have you ever met a self professing unchurched person? Or for that matter, have you ever met a self professing churched person? It would be like labeling our Canadian friends up north the “Unamericans.” I don’t believe in the unchurched, but I do believe in the one holy, catholic, and apostolic church. This church remains evangelical when it keeps the truth of the gospel (h alhqeia tou euaggeliou). When this is not done, it ceases to be evangelical. When the pure gospel is lost, the church becomes unholy, uncatholic, unapostolic, and unchurch. However, this is all camouflaged by the use of the term missional. The battle cry is that the unchurching of the church is done for the sake of the mission of the church. The missional church must be guided by a mission of reaching the unreached and the uncommitted. A successful church can easily be measured by the growth in numbers. For some strange reason we have such an unhealthy concern for numbers. I see this on a regular basis in my context in Los Alamos, New Mexico. I was called to start a mission there. Let me tell you, as soon as you have taken the name “mission,” people assume that means your goal is to grow in numbers. I don’t know how many times I have heard people ask me if we are growing. I don’t seem to recall anyone asking me if I am purely preaching the gospel and rightly administering the sacraments. People are much more interested in learning about the activities we have engaged in for the purpose of reaching the unchurched. The bottom line is a concern for the total number of people in attendance. When people begin to use the language of “missional” and “mission-minded” what lies at the core of such words is the concern for the growth in numbers. You can see this concern for numbers in the typical “shop talk” between pastors who talk about how many they worship on a Sunday. Some worship 100 while others worship 1000. What kind of language is this? Doesn’t this sound idolatrous in the strictest sense of the word? The language of how many we worship should be reserved for God alone. We worship one God in Trinity and Trinity in Unity, neither confusing the persons nor dividing the substance as the Athanasian Creed teaches. Why are we using language that confuses our confessions? When we confess what we believe we want to be clear and precise. We have become obsessed with being missional. We fail to continuously examine ourselves to determine if we are still truly evangelical and confessional. We just assume that we are. Such regular testing and questioning finds no place on our missional radar screen. We seem to have a way of asking the wrong questions and then proposing unhelpful answers. For example, we currently see that the numbers of Lutherans in the LCMS are decreasing every year. Our synod is perpetually shrinking. Then we ask ourselves the wrong question: Why aren’t we growing? The answer is that we need to development new strategies, programs, methods, and movements in order to increase the numbers of people in the LCMS. But, this is the wrong question and definitely an unhelpful answer. Again, the observation is that we are shrinking in numbers. So, why are we trying to find new ways to increase in numbers? Why not ask the obvious question which is: Why are we shrinking? What can we do in order to stop the shrinking? Why are people leaving the LCMS? What does this mean? In my context, in Los Alamos, New Mexico, I have been preaching the Gospel and administering the sacraments for almost three years now. In that short period of time, I have observed a variety of things. The county itself consists of a little over 18,000 people. According to the demographic study, about 80 percent of the residents are churched. Being a sociological term, this percentage probably includes Mormons, Unitarians, etc… In this small community, we are the only LCMS congregation. We have 44 baptized members. However, I have come across, about 40 other people who at one time were confirmed in an LCMS congregation, but have nothing to do with us. Keep in mind that this number would dramatically increase if you were to count those who were baptized in an LCMS congregation. I imagine that there are far more people that I am not even aware of. Out of the 40 people, 3 of them are pastors serving various churches in the community. In addition, there are two other individuals who graduated from our Concordia University in Seward, Nebraska. One of them, at one time served as a parochial school teacher and the other had also attended our seminary in St. Louis, but never graduated. In addition, there is another man whose father is an LCMS pastor. Also, there is another lady who has relatives who are LCMS clergy. So, why did these 40 people leave the LCMS? Would anyone suggest that the answer to this question is to become all things to all of these people and for the sake of trying to bring them back, convert the church into a Baptist-Romanist-Methodist-Nazarene-Eastern conglomeration congregation? Should we be concerned? Or should we be content that they are “churched”? What should we be concerned about anyway? Is the goal of the church churching the unchurched? If our goal, or shall I say mission, is to church the unchurched, then there should be no concern with all of those who left the Evangelical Lutheran Church for another lover. After all they are still churched, right? If our concern is merely reaching the unreached and churching the unchurched, then we should only be concerned about the increase in numbers. It then makes sense to increase the number of programs in order to increase attendance. It makes sense to convert the style of the Divine Service to make the unconverted comfortable. But if our goal, or shall I say mission, is to make disciples, then we should be concerned with baptizing and teaching and teaching and teaching and teaching. Keep in mind that a disciple is a student, a learner, a hearer. We are sheep who continue to listen to the voice of the Good Shepherd. In other words, the church makes sheep and feeds sheep until the Good Shepherd returns. Remember, that Christ teaches us in the parable of the sower that there are four types of disciples who hear the Word (Matthew 13, Mark 4, and Luke 8). The devil swipes the Word of God from the first type, the second type falls away after testing, the third type is choked out by the cares of the world, and it is only the fourth type that remains and produces much fruit. Making disciples, does not necessarily increase the number of members in a church. As disciples we are to continue to hear the Word of God. Ironically, the increase in such teachings as the parable of the sower is not centered in number of plants, but instead the amount of fruit. Now, remember that the observation was made that the numbers of Lutherans are shrinking. But the numbers are not the problem. Leave the numbers to the sociologists. The concern of the church is faith in the heart. Don’t get me wrong, the numbers are important insofar as they raise a red flag. These are symptoms of the conditions of the hearts of those individuals who are leaving. The concern of the church is soul. Have these people left because they are unbelievers? Have they left because they are unrepentant? Or perish the thought, have these people left because they are Lutheran and they left an Unlutheran church? The real problem is the condition of the heart which is the same problem in the church and outside of the church. Just because someone is “churched,” it doesn’t mean that they have faith. What ever happened to the language of conversion? The term conversion seems to have been dropped from our vocabulary. In this synergistic culture there is no place for original sin and the devil. Such a perspective assumes that the so-called “unchurched” are neutral and just waiting for someone to invite them to church. In this way, the goal is a change in behavioral patterns. Conversion is falsely identified as an outward change in attitude toward attending church. Conversion is not a change in behavioral patterns; rather, conversion is the change of being. An individual is transferred from the state of sin and death to the state of faith and life. Only, through the Word of the Gospel, can true conversion take place. We are not to unchurch the church, but rather convert the unconverted. As a Confessional Church it is our duty to confess the Faith that has been handed down to us. We have been given a rich heritage of comforting terrified consciences and giving all glory to Christ alone with the pure gospel. Our Lutheran Confessions help us to frame a proper understanding of missions and the church rooted in the Third Article of the Apostles’ Creed. The Creed gives us a picture of the whole story of human existence from the beginning to the end, from creation to the Last Day. In the Creed, we confess that God is Creator, Redeemer, and Sanctifier. The basis for what the church believes and does rests in the Creed. The Church plays a vital role here on earth as we draw closer to the Last Day. The Church exists for one purpose and that purpose is to deliver the forgiveness of sins won by Christ to the people of the world. The Church forgives sins in the preaching of the Gospel and the administering of the sacraments. The true mission of the Church is to deliver this treasure that Christ has won. This glorious treasure of eternal life and the forgiveness of sins would not benefit a person unless it was revealed to him. In order to believe, one must hear about the redeeming work of Jesus Christ. The work of the Holy Spirit is to reveal and give to mankind this treasure. Luther writes in the Large Catechism, “This, now, is the article which must ever be and remain in operation. For creation we have received; redemption, too, is finished But the Holy Ghost carries on His work without ceasing to the last day. And for that purpose He has appointed a congregation upon earth by which He speaks and does everything.” (Creed, Article III, 61). The task of the church is to distribute the treasure that Christ has won for us. Through the Word of God and the Sacraments the Holy Spirit calls, gathers, enlightens people with the knowledge of the forgiveness of sins making unholy people holy by applying the holiness of Christ to them. The Spirit draws people to Christ which is the work of sanctification. Article VII of the Augsburg Confession teaches that the church is not an organization of morally upright citizens who have changed their behavior and attitude toward attending church. Instead, it teaches that the church is an “The Church is the congregation of saints [believers], in which the Gospel is rightly taught and the Sacraments are rightly administered.” (AC VII, 1). But, outside the Christian church (that is, where there is no gospel) there is no forgiveness, and hence no holiness (Large Catechism, Creed, Article III, 56). Apart from the activity of the Holy Spirit, no one can come to Christ or believe in him. Apart from Christ, human beings are dead in their sins, enemies of God, and have no true spiritual understanding. Without the church, the work of Christ remains undelivered and the forgiveness of sins is not given. Without the church, people die in their sins. This is no child’s game. In this article of the Faith, we see the importance of the mission of the church. The church has been given the special authority over sin on earth. This authority is not to be taken lightly or forgotten. The task of the church is to forgive sins. It is God’s desire that no one should perish, but rather that all should repent and believe in Jesus Christ for salvation (1 Tim. 2:4). Therefore, the Holy Spirit uses the Holy Christian Church to achieve this mission. On earth, the Spirit of God works through the Church and the forgiveness of sins to make people holy. The Church in its very essence is a missionary church. It has been given the true mission to purely proclaim the Gospel and rightly administer the sacraments for the purpose of making disciples. Jesus sent the Apostles out to make disciples. Disciples are made by baptizing and teaching the Word of Jesus. Baptism is thus the missionary sacrament. In this gift, forgiveness, salvation, and eternal life are given. People are brought into the church solely by the work of God through the means of grace. Through Holy baptism, God brings us out of darkness into light and kindles in us faith and true understanding. There is a great difference between those who have been baptized and those who have not been baptized. The baptized have been made free (Solid Declaration, Article II on Free Will, 67-68). They now have a desire, however small it may be, to hear and gladly learn God’s Word. The unbaptized have no such desire. Still, it is true that here on earth the unbaptized have the freewill to go to church, read the Word, and hear the preaching of the Gospel, but this freewill does not enable a person to make a decision for Jesus regarding the message of forgiveness. The power rests in the working of the Holy Spirit in the Word (Solid Declaration, Article II on Free Will, 52-53). Knowing that people have freewill in this manner, the members of the church should do all that they can to encourage those outside of the church to hear the Word of God. We should persuade people to allow the Holy Spirit to work in their lives through the Word, rather than try to persuade them to make themselves believe. It is impossible to persuade a dead person to live. With our lips we can confess our faith to others. We should be ready at all time to give an account for the hope we have in Christ Jesus (I Peter 3:15). As individual members of the Church, our task is to confess the Name of Jesus before others. It is the task of the Holy Spirit to create the faith. The unbaptized also have the freewill to refuse to go to church, read the Word, and hear the preaching of the Gospel. Therefore, we in the church should not put up stumbling blocks to cause people to resist the working of the Holy Spirit in the Word. With our lives we can display our faith to others. As members of the church, the Holy Spirit is working in us to bring about true increase by daily growing in faith and the fruits of the Spirit (Solid Declaration, Article II on Free Will). We should consistently examine our own lives and discern if we are hindering the work of the Holy Spirit in us. How can we effectively encourage others not to hinder the work of God if we are hindering God’s work in our own lives? Therefore we pray here in the first place that this may become effective with us, and that His name be so praised through the holy Word of God and a Christian life that both we who have accepted it may abide and daily grow therein, and that it may gain approbation and adherence among other people and proceed with power throughout the world, that many may find entrance into the Kingdom of Grace, be made partakers of redemption, being led thereto by the Holy Ghost, in order that thus we may all together remain forever in the one kingdom now begun. For the coming of God's Kingdom to us (Large Catechism, 2nd Petition, 52-53) occurs in two ways; first, here in time through the Word and faith; and secondly, in eternity forever through revelation. Now we pray for both these things, that it may come to those who are not yet in it, and, by daily increase, to us who have received the same, and hereafter in eternal life. To be faithful to our Confessions, we must be careful not to focus on bringing the kingdom to others at the expense of neglecting growth in the kingdom of those who have already become baptized into the Christian Faith. It is God’s will that His Kingdom would increase in both the quantity of total members and in the quality of the lives of individual members. This objective can only take place by the power of the gospel. In this life, sin continues to cling to all people even among believers. Since all have sinned and we continue to sin daily, the very essence of being the holy church is to be truly evangelical. The church must be diligent about keeping the gospel pure. Through the means of grace the Holy Spirit continues to bestow to us the forgiveness sins that have been won by Christ. These are the means through which the Holy Spirit creates, strengthen, and sustains faith. Therefore, the Holy Spirit continues to apply the holiness of Christ to all people. The Holy Spirit continues to use the law of God to convict hearts of sin and the gospel of God to create faith in the heart. God has appointed the church to proclaim the gospel to the world while at the same time He continues to make His church holy through the gospel. In this Christian Church, God continues to daily forgive our sins. Therefore, let us be the church. Let us refer to those outside of the church, who have no hope of salvation in the name of Jesus, as the unbelievers. With this language we show forth our true concern which is the absence of faith. Let us use the term unbaptized to refer to those who have not yet received the gift of baptism. In this way, we will emphasize the importance of baptism as a means of grace. Likewise, to those who are in the state of ruling sin, let us refer to them as unrepentant sinners. In this way, we rightly focus on the need for repentance. In addition, let us refer to those who are not converted as the unconverted. In this way, we shall draw attention to the need for them to be transferred from the state of sin and death into the state of faith and life. The task of the church is to forgive sinners by bestowing upon them the comfort and peace that can only be found in our Lord Jesus Christ. The Creed clarifies our understanding of the Christian Faith and the purpose of the Christian Church. God Himself is the One who creates, redeems, and sanctifies. The mission of the Church is to give the gifts that Christ has won for us. These gifts are for sinners outside of the church as well as for the sinners within the church. In order to give true comfort to the terrified conscience, all glory must be given to Jesus Christ alone. In order to be truly missional, we must be truly evangelical. In order to be truly evangelical, we must be truly confessional. In order to convert the unconverted, we must remain to be the church. In a Lutheran layman's terms, this is why we need to resist the urge to become the unchurch for the unchurched. Please be sure to share this remarkable lecture with those who need it.